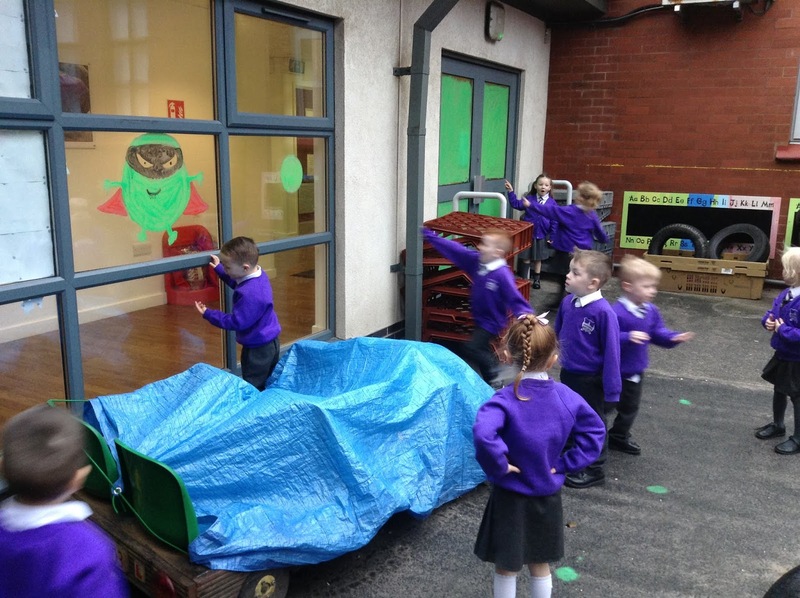 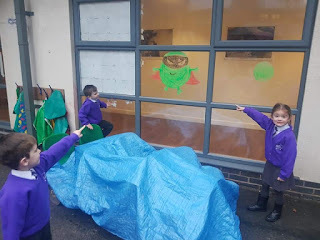 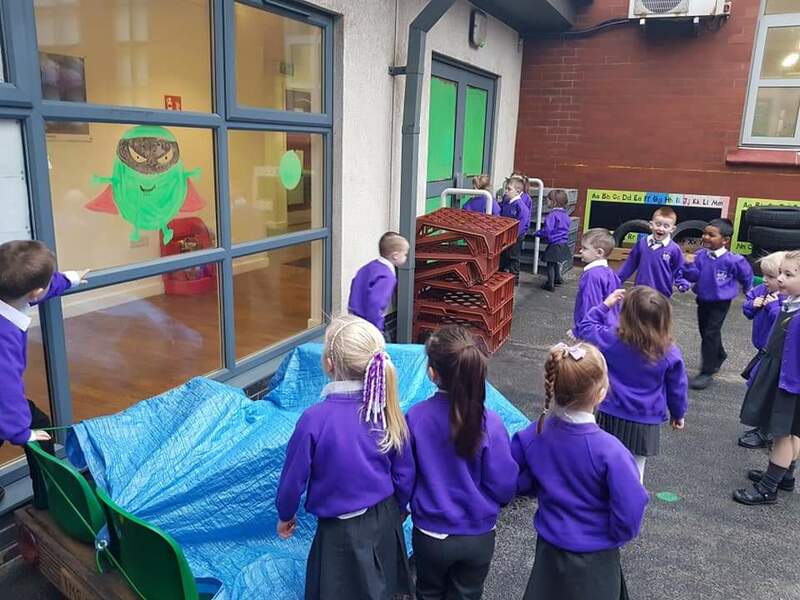 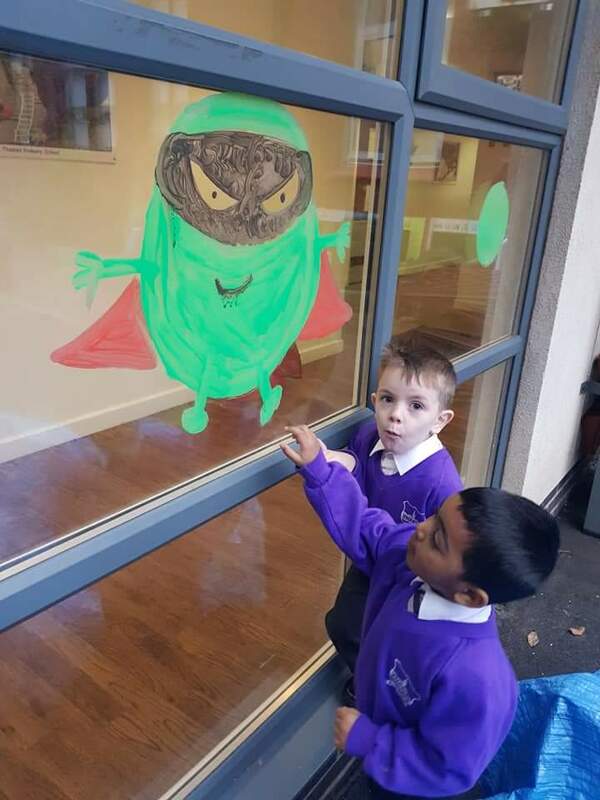 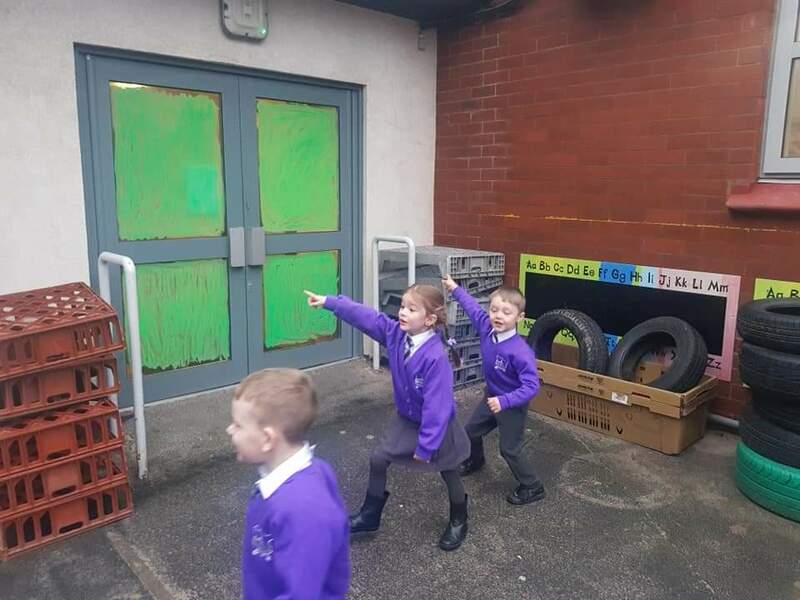 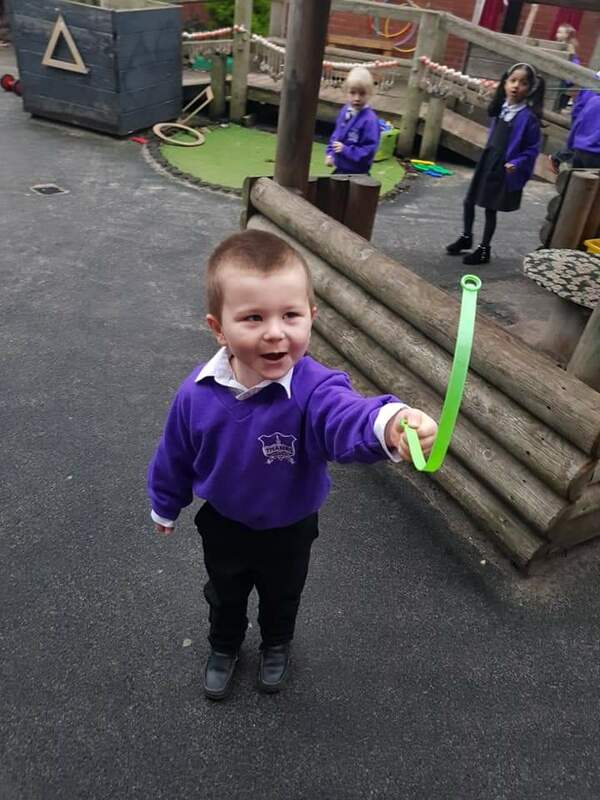 Rception were shocked to find Evil Pea had painted our outdoor area on Tuesday morning! Thank you to all the parents who came to our end of topic celebration today. The children really enjoyed it. 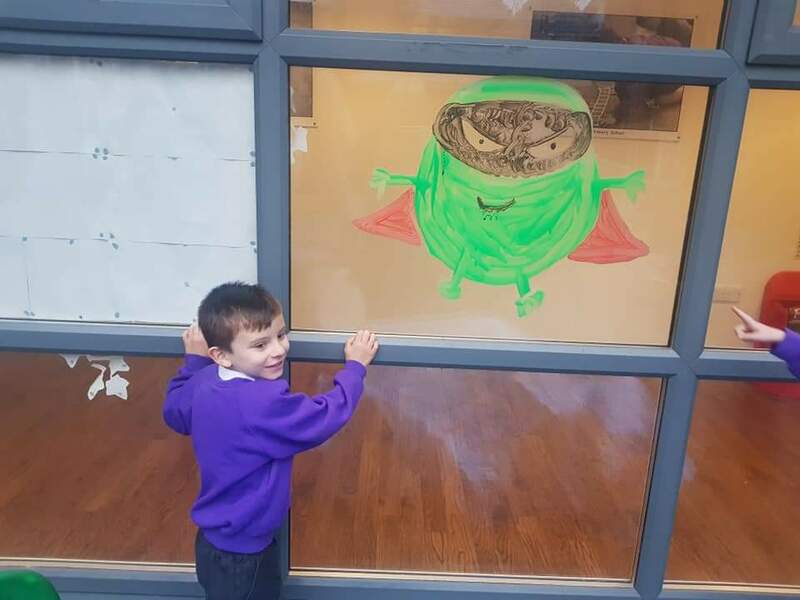 The children have gone mad for Supertato in the last couple of weeks. We read some books in the "Supertato"
Our Topic this half term is Playlists, we have been exploring how we hear sound and how sound is made. 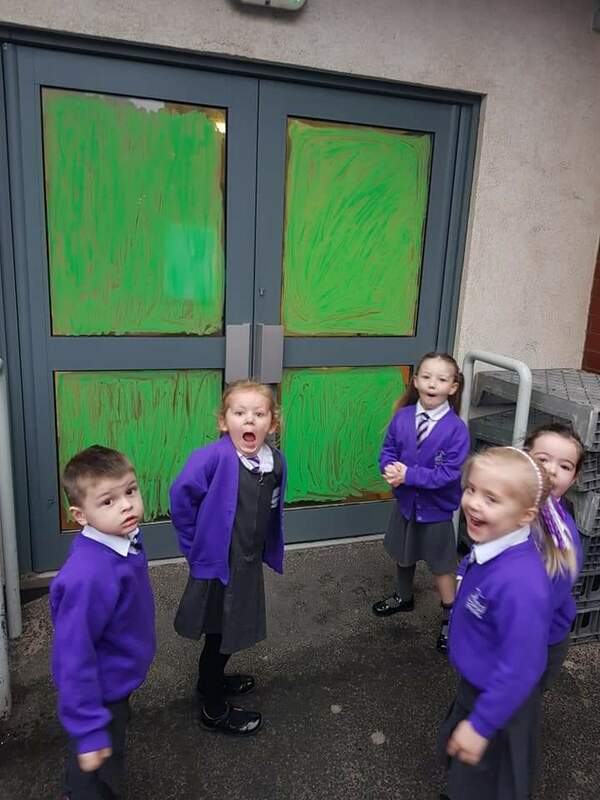 Year 4’s Lonely Hearts Club Band! 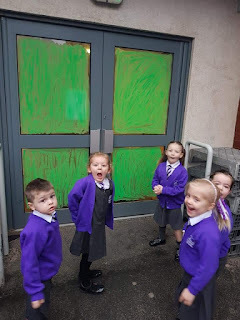 Year 4 have been very busy, recreating the album cover for Sgt. Pepper's. Year 3 were visited by a Greek hero named Petereus who enthralled us with tales of his adventurous life.